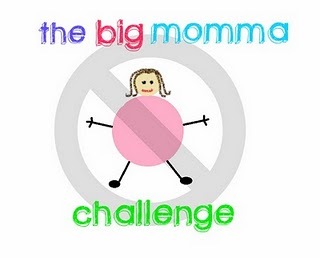 Regular visitors to my blog will know that last year I started doing something called The Big Momma Challenge which was my attempt to change my lifestyle to a much healthier one. I ﻿wanted to avoid the word diet which was usually the kiss of death for me, and instead make different, healthier choices while getting fit at the same time. I first accepted I needed to it in this blog post and the first week of the BMC is here. From July until the end of November 2010 I managed to lose 21lbs and made some big changes to my fitness level, but then with my 50th birthday celebrations and the Christmas holidays I sort of put things on hold for a bit. Oh, and I gained 5.5lbs. Anyway, after the Christmas and birthday hiatus I'm going to start again with a couple of changes. I hope you might decide to join me each week, there is no diet plan because it's not a diet! It's a decision to make changes towards a healthier lifestyle. You decide how you want to do it, blog about it each week and share your link below so we can support each other. This bit was vital for me as I found the support of other bloggers really motivated me to lose weight and stay focused, and other bloggers taking part also said the same thing. So, let's start afresh - new year, new focus. I'm going to set a monthly target instead of weekly ones, and do something different each month to help me towards a new lifestyle. January is also going to be an alcohol free month. I was having a conversation with some other people on Twitter and we decided to give it up for a month - longer in some cases. I have two reasons for giving alcohol a wide berth this month, the first is that drink is a trigger for me to overeat. As soon as I have a glass of wine I start eating. Not good. Also, I been noticing for a while that alcohol just doesn't seem to agree with me anymore, I get bad headaches after even a moderate amount of drink and can sometimes feel unwell for a whole day after a couple of glasses of wine. And if you need inspiration to help you choose a healthier way of living you might want to pop over to read Jag's Fitness Blog. 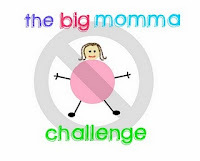 This amazing lady has lost 50lbs in total and has lots of interesting and inspiring words to say about her journey. I'll still be updating this every Saturday - please join in or just come along to keep me in line. I'm counting on you!